When I first moved to California in 2010, Big Bear was one of the first places I visited. This little mountain town set a high bar for the rest of my adventures in California. 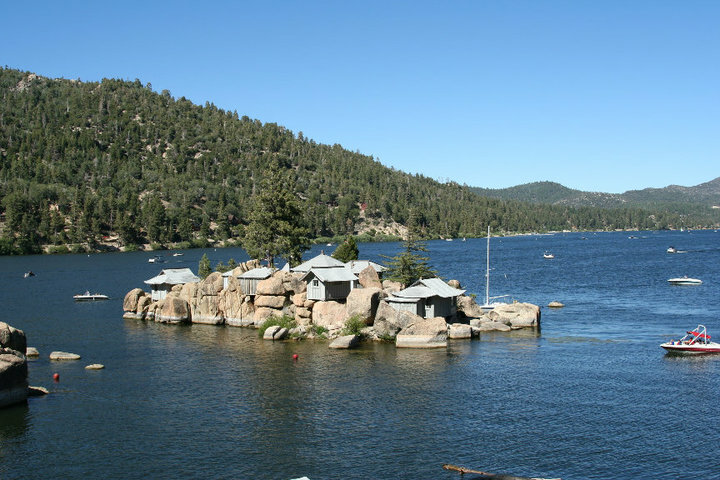 In the summer, people flock to Big Bear for hiking, camping, boating, swimming, horseback riding and mountain biking. In the winter, Big Bear is the premiere destination for skiing and snowboarding in Southern California with two great resorts, Bear Mountain and Snow Summit. 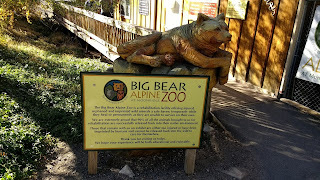 There are many other fantastic attractions in Big Bear that are less well known. 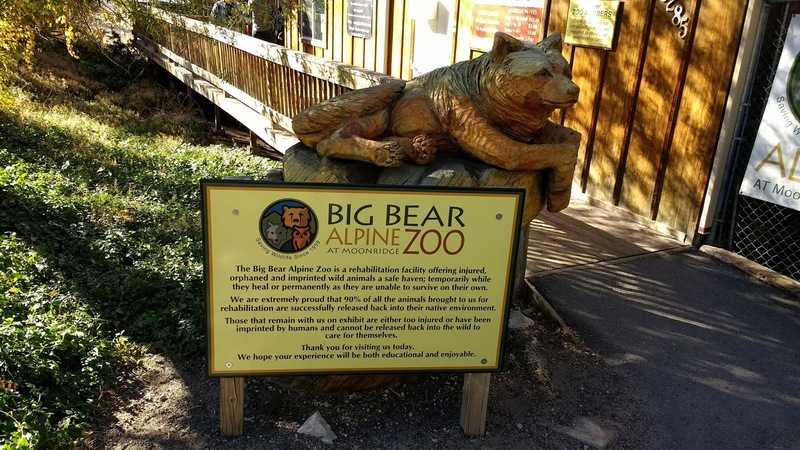 Here is my list of 5 'must see' attractions in Big Bear California for 2016. October is my absolute favorite time to visit Big Bear. The weather is perfect and sunny every day and it’s cold enough at night to break out a jacket and pretend that you’re on the east coast where they actually have seasons. Oktoberfest in Big Bear is universally considered to be one of the best Oktoberfest festivals in the entire United States. The annual festival runs for 8 consecutive weekends from September through October at the Big Bear Convention Center. Hundreds of people pack the place out nearly every single night of the festival. The festival has log cutting competitions, dance contests, food, beer and live nightly performances by German bands. During the day, the festival is pretty tame, but it can get pretty crazy at nights when everyone is drinking and dancing. They don’t exactly discourage having a good time at Oktoberfest in Big Bear. Best of all, the city offers a free shuttle from the convention center to the hotels during Oktoberfest to keep drunk drivers off the road. Tickets for the event range in price from $10-20, but f you plan on drinking, I definitely recommend going online and picking up an Über Burgermeister Party Pack which includes 2 nights of admission, a commemorative stein, and 2 liters of beer. Don’t feel obligated to stay at the convention center for the entire festival. During Oktoberfest in Big Bear, several local breweries offer drink specials and seasonal brews. The Big Bear Brewing Company sells a seasonal draft called Rollin Out the Pumkin which is easily the best pumpkin beer I’ve ever had in my life. All jokes aside, this beer is literally worth a drive up the mountain itself. The hotels and motels around town can get a little expensive in Big Bear during Oktoberfest, especially on the weekends, so don’t be afraid to search Airbnb and find a cabin to rent instead. You can almost always find some really swanky cabins in Big Bear to rent for about the same price as a hotel. If you’re going with a large group, a cabin rental is absolutely the way to go. 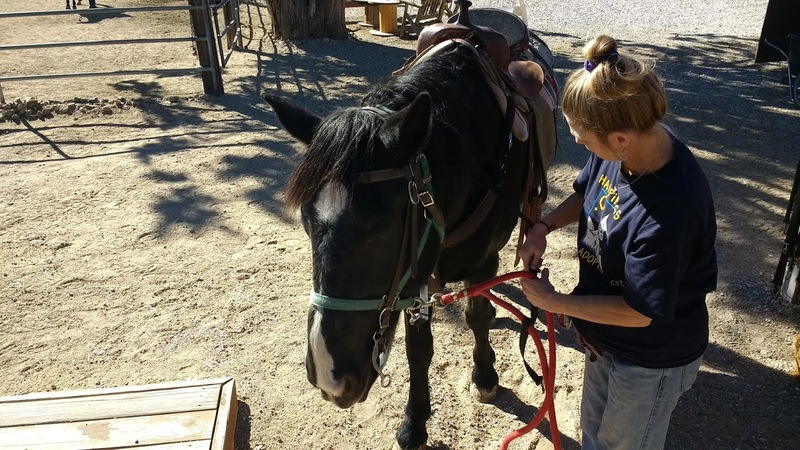 Horseback riding is a year-round activity in Big Bear, and one I highly recommend. Baldwin Lake Stables offers several options for new and experienced riders alike including 1,2 and 3 hour rides and half day trips. I opted for the 2-hour trip and it felt like the perfect length of time to be sitting on a horse. Our guide led us up through a picturesque forest trail to an amazing overlook in the mountains. There really is no better way to scale a mountain than on horseback. Part of the trail we rode was actually a section of the Pacific Crest Trail which runs the entire length of the United States from Mexico to Canada. Our group had a private guide, so we got to ride at our own pace. It was amazing to have some peace and quiet on a private tour without having to accommodate another group. Just writing about makes me wish I was on horseback again in Big Bear. 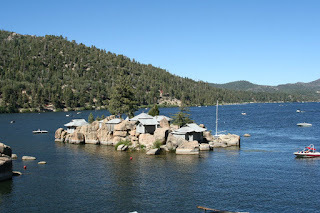 Baldwin Lake Stables is located about ten minutes east of Big Bear Lake. You want to call them directly to make a reservation at (909) 585-6482. 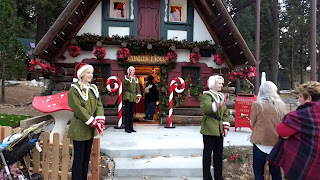 The new Santa’s Village, dubbed “SkyPark at Santa’s Village", is located just off Highway 18 (Rim of the World HWY) in the tiny town of Skyforest California. It’s been over 20 years since they closed their doors, but the park has been fully restored and has expanded to include several mountain themed activities including a rock climbing wall, an outdoor skating rink, mountain biking trails, a skypedal monorail, ziplining, hiking trails, electric assisted pedal cars, a campground, and more. The outdoor skating rink at Santa’s Village is the only one of its kind in the San Bernardino mountains. The rink was completed just in time for Christmas in 2016. The tentative plan for outdoor section of the park is to keep it open all year. Some of the attractions may not be ready until the spring of 2017. 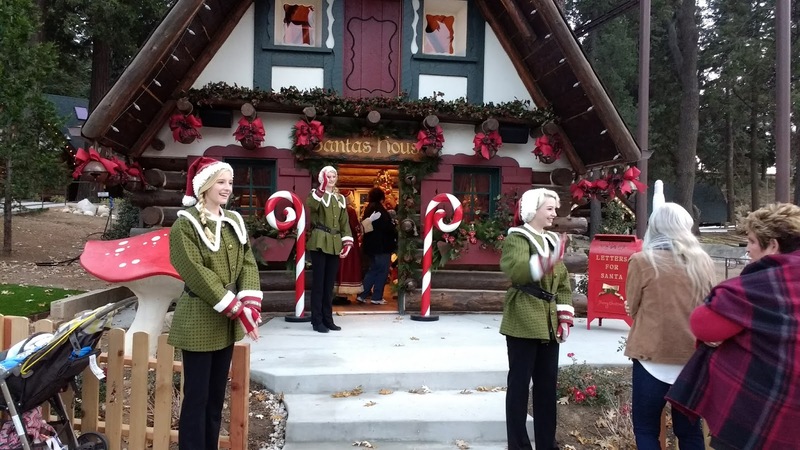 You can check the official Santa’s Village website for directions, tickets and more info about the attractions. Snow Summit is the premiere destination for mountain biking in the San Bernardino mountains. The resort is open for mountain biking in the spring, summer and fall and is the only mountain bike park with lift service in Southern California. From the top of the lift, there are over 60 miles of maintained bike trails to explore for riders of all abilities. You’ll see some truly amazing views of Big Bear Lake while you ride. To be honest, the intermediate blue trails are mostly terrifying, so I stick to the greens. The black advanced trails are for experts only. There are some really fantastic beginner trails where you can cruise for miles without ever touching the pedals. You can rent a bike at the mountain for an additional fee, or bring your own from home. If biking isn’t your thing, you can opt for a lift ticket and take a ride to the top for a beer at the Skyline Taphouse and some spectacular views. Many people ride the lift to the top and hike down the mountain. Check the official Snow Summit website for hours and lift ticket information. And of course, no trip to Big Bear is complete without a trip to the Alpine Slide.